FREE DHL EXPRESS SHIPPING !! 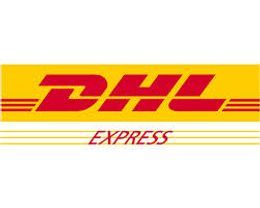 PinoyAndroids is now happy to offer the Philippines FREE EXPRESS SHIPPING through DHL, the global market leader in the logistics industry, for our customers convenience. Please note we special order each item individually for you directly from the manufacturer. This allows us to bring you the latest technology directly to your doorstep at amazing prices. All items are imported brand new, with warranty and shipped directly to you. Now available with free DHL express shipping! Orders will be shipped out in 2-4* business days after payment is received. Processing is typically fastest with checkout through Paypal. With free DHL express shipping, orders will be delivered in 2-4* days after your order has been shipped. 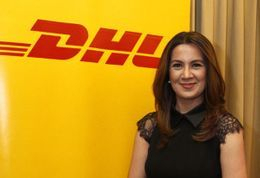 Shipping is typically fastest to Manila and surrounding areas, as well as Cebu. These delivery times are only estimates and may vary during Chinese or Western Holidays. PinoyAndroids is not responsible for and does not have control over any customs delays or fees. All order processing times are subject to the items availability. Please contact us before ordering if your order is really time sensitive. Standard FREE shipping orders are shipped via Airmail parcels and Registered Airmail parcels. Delivery times are between 15 - 25 days for all major destinations. Although the delivery time is much longer, but it will save you the most money. Import Tax and Duty are responsible by customers. 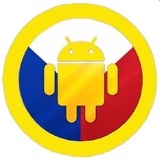 PinoyAndroids marks packages as gifts with low values. Virtually all orders are exempt from taxes and duties. You may also ask us to mark the package the amount you prefer by emailing info@pinoyandroids.net including your order number/transaction number. To view the list of countries we ship to, click here. Before your order is shipped, PinoyAndroids has to process your order and put all your items through its strict quality control tests. Because of this, Total Delivery Time is different to shipping time alone. If your order is returned to us after shipment due to the wrong address provided or an error in the address, you will be responsible for paying reshipping fee. We will email you requesting the correct address and details to make payment for the second shipment. Please double check your shipping address as we will not be held responsible if shipped to the wrong address. Once payment is received and we have placed your order for you, canceling your order will incur a 5% restocking fee. If the item has already been shipped before the order is canceled, you will be responsible for paying a 12% restocking fee and will be refunded your total purchase price less the original shipping fee. Your refund will be issued once the item is received back by the shipper.